Dugan joined (RED) as the non-profit AIDS organization’s CEO in 2011. 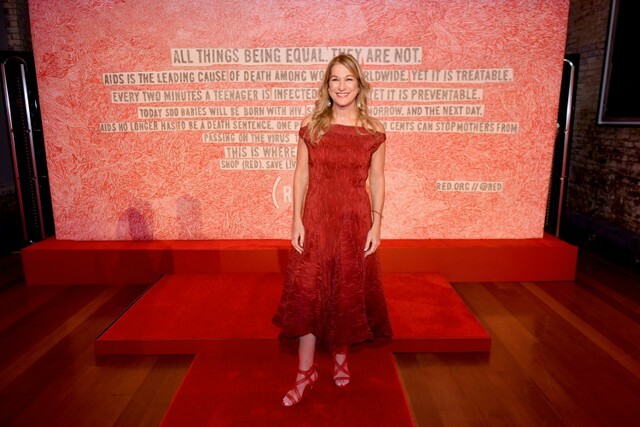 Founded in 2006 by Bono and Bobby Shriver, (RED) has raised more than $500 million for the Global Fund with a host of partners that includes Apple, Beats By Dre, the Coca-Cola Company, and Starbucks. Before segueing to (RED), Dugan served as president of Disney Publishing Worldwide. Her extensive resume also includes eight years as executive VP at EMI/Capitol Records. She launched her career as a Wall Street mergers and acquisition attorney. Over the years since Farnon’s tenure, only a few women have ascended to the academy’s top ranks. That sparse number includes three former senior VPs — Diane Theriot (awards), Kristen Madsen (foundations), and Nancy Shapiro (special projects) — and two ex-chairs of the board of trustees, Leslie Ann Jones and Christine Albert. Ruby Marchand is the board’s current vice chair under chair John Poppo, whose term expires this year. Laura Segura Mueller, VP of membership and industry relations, is the only woman presently on the academy’s 10-member executive staff. Portnow will leave his post in July. As Billboard reported last month, the search for his successor at that point had been whittled down from an initial applicant pool to around six to eight finalists by executive search firm Korn Ferry. That was followed by a second round of interviews to further narrow the number of finalists. The top three remaining candidates were then presented before a special meeting of the trustee board to vote for Portnow’s successor, with said appointee to be announced before the board begins its annual spring meeting on 5/21.